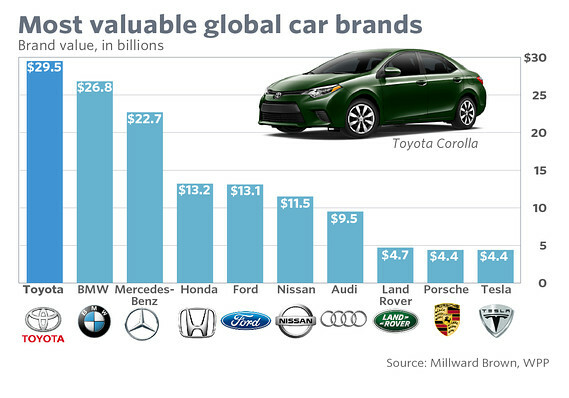 Nowadays, Toyota, as the most valuable car brand, is in the driver’s seat. My guess is that many of you currently own a Toyota, or have had it before. Toyota Motor Corporation was founded by the Toyoda family. 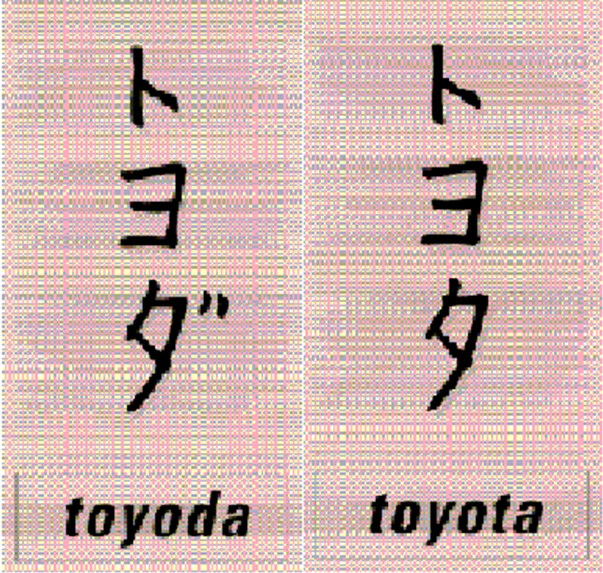 However, ten Japanese kanji strokes are used to write “Toyoda,” while “Toyota” has only eight. Eight is considered a lucky number in Japanese culture, so “Toyota” was chosen as the company’s name [link]. In 2013, Toyota reached the milestone of 40 million Corollas sold over its eleven generations [Wiki]. This entry was posted in Amazing technology, data, and people, Analytics, data analytics, big data, big data analytics, data on the internet, data analytics meaning, Data Analysis and Visualization, Money, business, investments, statistics, trends, Past, present, and future and tagged Analytics, best cars, big data, big data analytics, business, Data Analysis and Visualization, Data analytics, data analytics meaning, data on the internet, investments, leading car manufacturers, Money, statistics, Toyota corolla, trends. Bookmark the permalink.